(AA): Five soldiers were killed and three others were wounded in a terrorist attack in northern Burkina Faso, the country’s military said Tuesday. In a statement, the military said one of the terrorist groups in the region where the country’s armed forces were conducting operations on Monday attacked a military unit in Oudalan province. Security forces conducted an operation following the attack and “neutralized” 21 terrorists. Also, security forces “neutralized” 146 terrorists Monday in land and air operations in the country’s northwest. 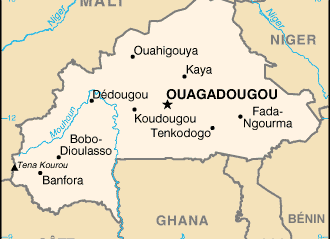 On Dec. 27 last year, a terrorist attack on security forces in Sourou State in northwestern Burkina Faso left 10 gendarmes dead.